A friend of mine on Facebook tagged me in a challenge yesterday to post my favorite Bible verses each day for the next week. It would give me a good excuse to use my blog to do this challenge as well as providing me an opportunity to ease back into posting blog posts because I’ve been gone for a while. As I was returning home from work yesterday, driving home in silence, and thinking about my favorite verses, I decided that I cannot do this without first expressing a Disclaimer that will help explain where I’m coming from in doing this challenge. I find it largely dissatisfying when people post Bible verses with A) no explanation why they are posting it, and B) not really considering the context, either within the passage or Scripture as a whole. Therefore, not only will I post my favorite verses (or even passages), but explain why through a some sort of contextual lens. As largely tempting as it is for me to enter into lengthy theological explanations based on Scripture as I do this, I will reserve such opportunities for another time. I don’t have the time. Here, I simply just want to explain why these verses are my favorite. Revised Standard Version(-Catholic Edition) is my preferred Bible translation for this blog and for study. But this passage from John 6 finds greater meaning in the Last Supper, pictured above, whereby Jesus broke bread and shared a cup with his closest friends. Because of Jesus’ teaching regarding how He is the Bread of Life–His very own flesh and blood–we have the Eucharist. We Catholics believe that Jesus is truly present in the Eucharist: body, blood, soul, and divinity. THIS IS SO INCREDIBLY HUGE FOR ME. These passages are my favorite because the Eucharist is so central to my Christian life. Without the Eucharist, there’s no need for me to be Catholic. If the Eucharist wasn’t really Jesus, then Catholicism is a total sham. We say the Eucharist is the “source and summit of our Catholic faith” (well yeah, because it’s Jesus, who should be our source and summit of our Christian faith!). Through the Eucharist, everything else flows. Jesus talking about Himself as the Bread of Life isn’t symbolism. It’s not a parable. I mean, at face value this teaching is difficult. Without a greater understanding of God’s divine revelation even from Old Testament times, it doesn’t make sense. Even his disciples found difficulty with this and couldn’t take it. Jesus didn’t stop them. Jesus didn’t retract or explain further. So because of the Gospel, early Christians celebrated the Eucharist in remembrance of Him. 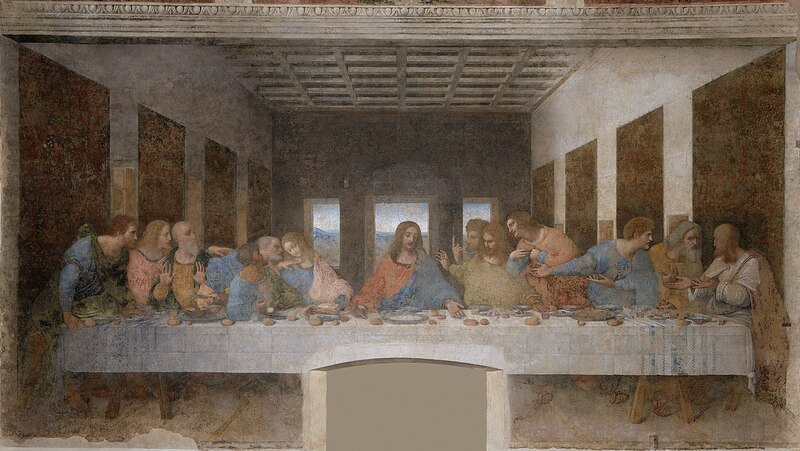 To this day, the Catholic Church maintains that same teaching and understanding of Jesus’ revelation and institution of the Eucharist at the Last Supper. Because of the Catholic Church and her understanding of the Eucharist, I’m able to encounter Jesus in a very literal way. He revealed Himself truly present in the Eucharist to me one time in high school during Adoration. It finally clicked for me that the Eucharist is Jesus in that moment, though I wasn’t able to figure that out on my own. Suddenly I knew this is real. Since then, I’ve had very real and profound encounters with Jesus in the Eucharist through Mass and Adoration. Not every encounter I have with the Eucharist is met with warm fuzzies. Sometimes they are spiritually dry. But praise God for His graces, consolations, and desolations for drawing me nearer to Him through the Eucharist! Because of Jesus’ teaching on how He is the Bread of Life and His institution of the Eucharist for us to remember Him by (in the celebration of Mass, a re-presentation of the Last Supper) and because I’ve had real and profound encounters with the Eucharist, I cannot help but approach Him with love and reverence. I go to Him in the Eucharist with my woes, my anxieties, my faults, my successes, my joys, my love, my…entire self. And there He is with His entire self in the Eucharist. Pretty awesome that we have this great gift in the Church! So yeah. John 6 and the Last Supper passages are my first favorite because the Eucharist is so important to me. He is the bread of life. He is the blood of life.